When I was younger I learned that exfoliating your skin could help with acne so naturally, I became obsessed. Who wouldn’t want to remove a layer of their skin for the greater good. When I discovered this product I became quite interested; it’s a gentler at home peel. But how did it perform? 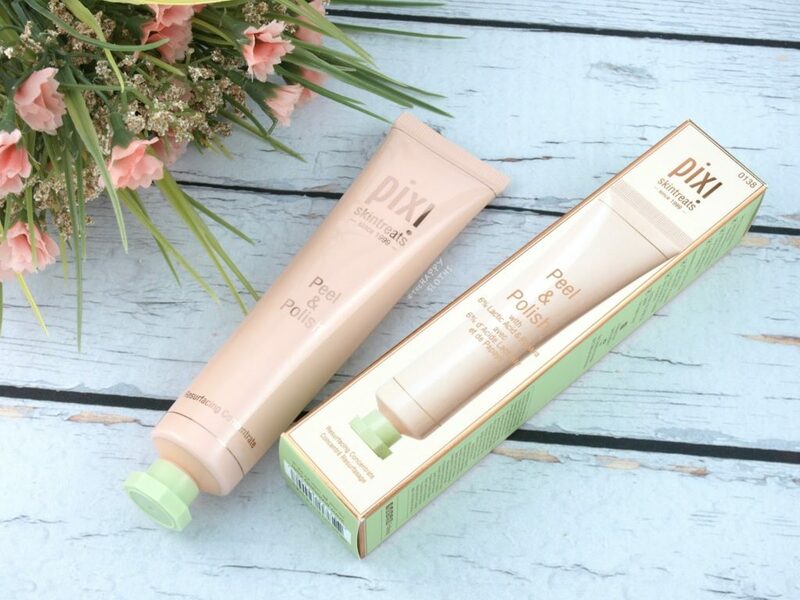 According to Pixi by Petra “This radiance revealing enzyme peel resurfaces for smoother, softer skin, and a healthy looking glow, […] Natural fruit enzymes loosen dead skins cells, lactic acid gently exfoliates, cellulose peels & sugar extracts polishes, lifting away dullness revealing brighter skin” Sounds pretty intense tbh. When applying a new product the first couple things I notice, apart from the packaging, are the smell and texture. 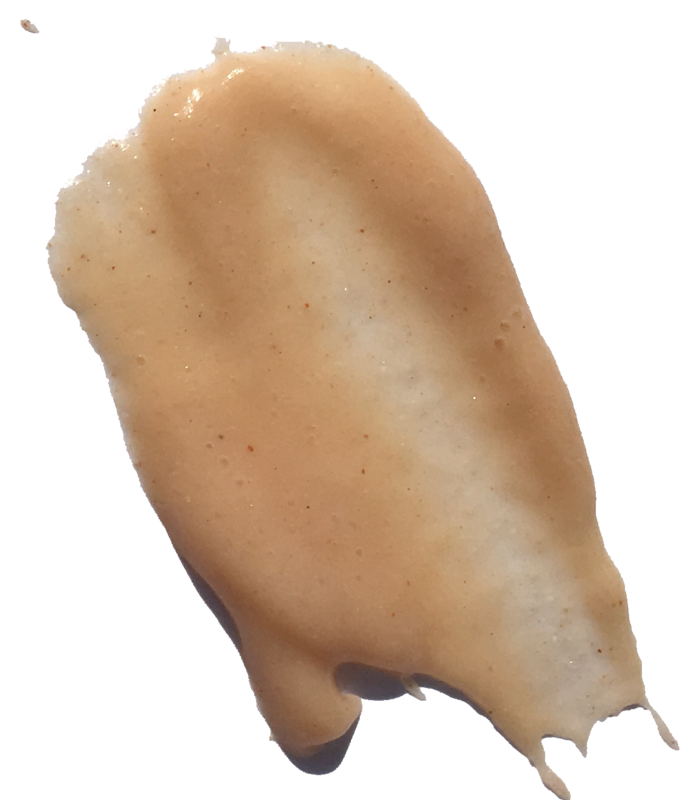 The Peel and Polish has a nice light smell, it smells like apricot with a hint of some sort of floral- very light and non-perfumey smelling. The texture is more of a gel/lotion with small exfoliants. I like that the product is really easy to apply, it isn’t sticky but I really do wish it was thicker and a little less fluid. I noticed a difference in my skin the minute I washed this product off, it really helped slough away the skin – my complexion was much fresher. Something a little different I did was leave this mask on for about 10 minutes; to be honest, I kind of forgot it was on my face and got busy doing other things. I’ve used this mask at least 12x and I notice the biggest difference when I leave it on for longer and gently massage it off. If you do plan on doing this I recommend only using it 2x a week, anything more will be too harsh on your skin. If you do plan on leaving it the recommended 2-3 minutes I think you’d be ok to use it 2 – 3x a week. Anyone with SENSITIVE skin I would only use this 1x a week, you really don’t want to irritate your skin, it should never hurt but some redness is normal. Overall this product does what it says it’s supposed to, and it gives you a little leeway in regards to how effective/ aggressive it can be. The only thing I would really change is the texture, I just wish it was a little thicker. Previous Post Di-mention: Who is Pixi ?